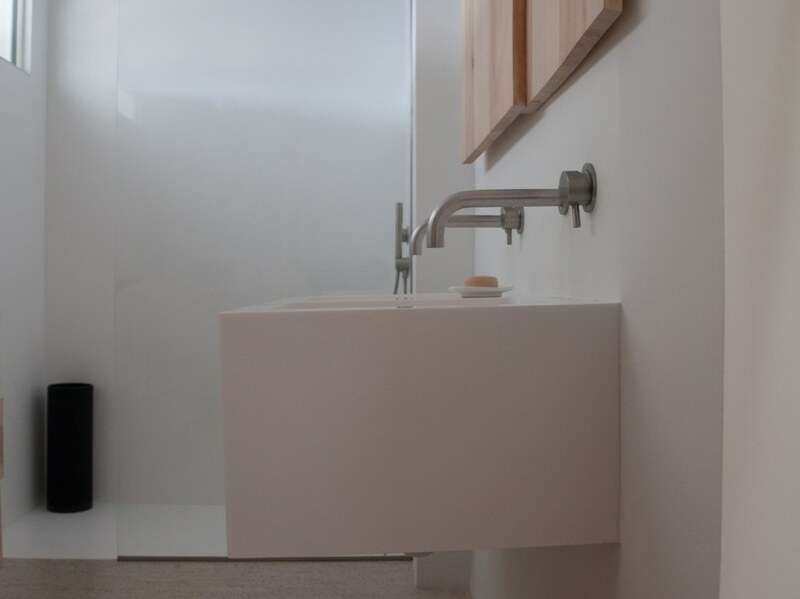 Himalayan Birch House: A project inspired by contemporary Japanese architecture with stainless steel MINA faucets. Himalayan Birch House is a private residence. The project was inspired by contemporary Japanese architecture - Sou Fujimoto, Shigeru Ban, Tadao Ando, Jun Igarashi, Sampei Junichi, SAANA. The main concept of the Himalayan Birch House is the interaction between light and shadow; it emphasizes the interpretation of architecture as arts. 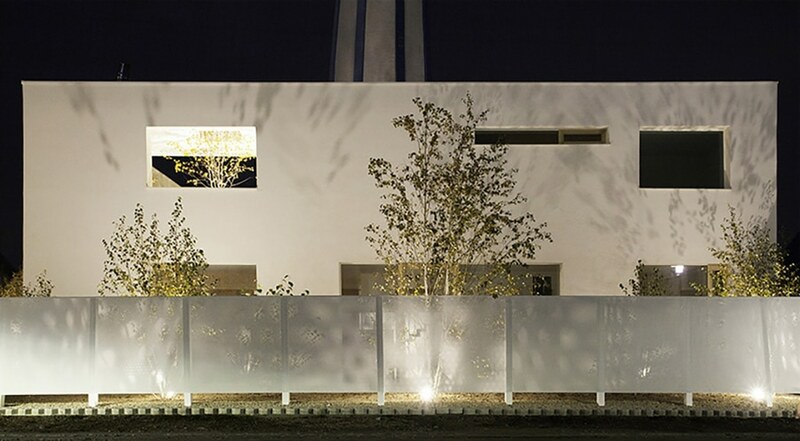 The project is centered around Himalayan birch trees, with 60 trees on the terrace and in the garden. 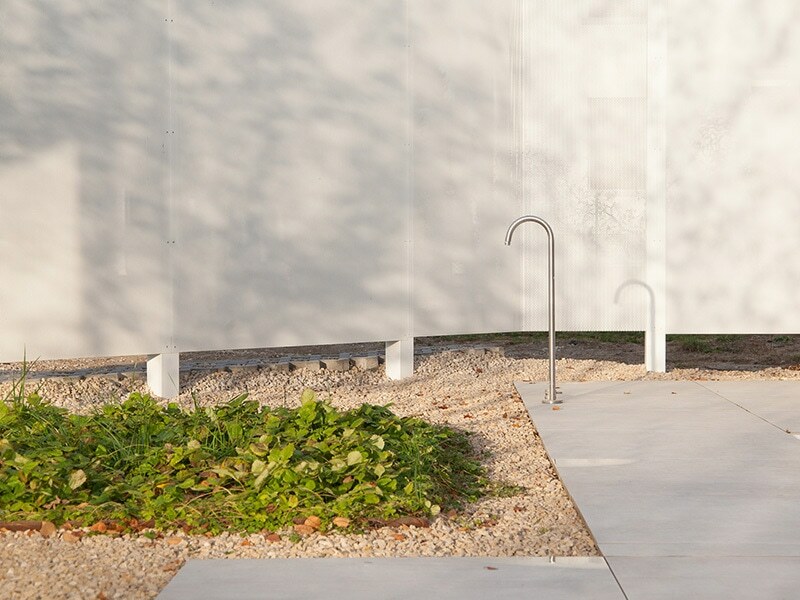 Constructional elements draw attention to the trees and their shadows. The windows frame the trees the same way paintings in an art gallery would. 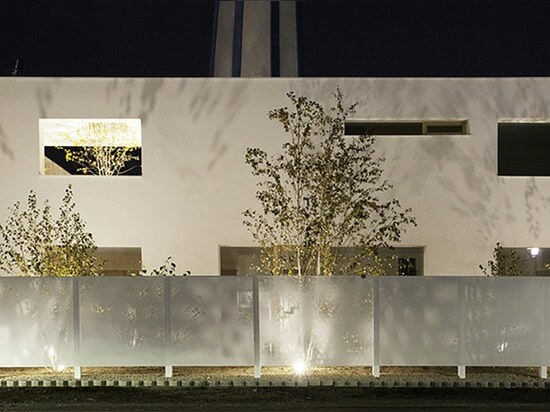 The transparency and translucency of the materials let the light flow through the fence producing the moiré effect and through the white fabric blinds producing the shoji shadow effect. Nature is the protagonist of the interior as well; sunlight gently brushes over the forms and through the spaces with the predominant white color complementing the wooden elements. 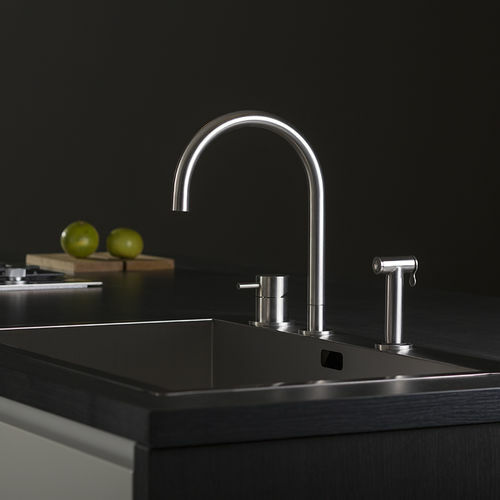 Mina stainless steel faucets were chosen to underline the simplicity of form. 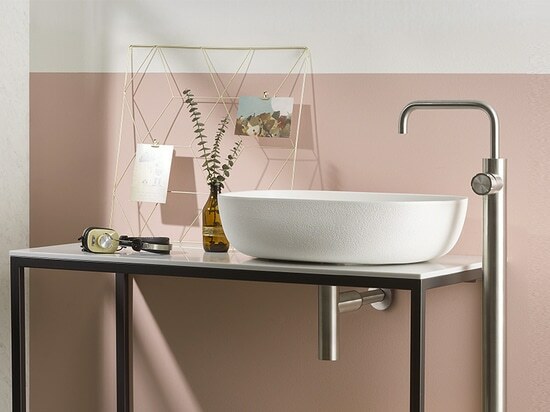 Stiriana series wall-mounted mixers were installed in the main bathroom and guest bathrooms. 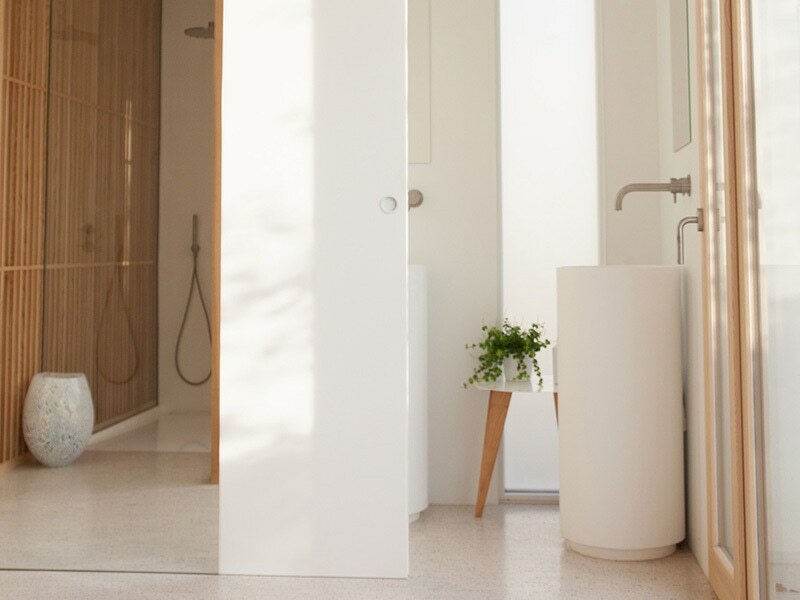 Stiriana series products have been used in the white showers as well. 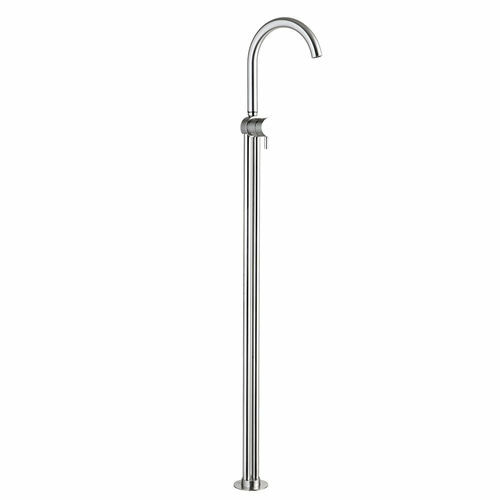 In the kitchen, a new Mina’s sink mixer was chosen with an external pull-out spout. 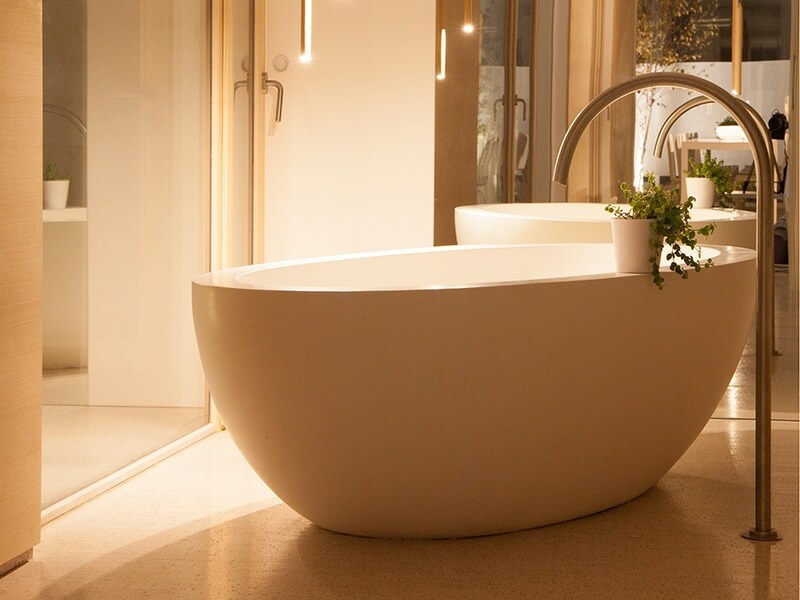 A Giotto floor-mounted bath spout combines perfectly with the freestanding bathtub bringing out its soft round form; another floor-mounted spout was used in the garden. The free-standing outdoor shower appears weightless and subtle between the birch trees. The Giotto freestanding bath spout by Mina in the loft. 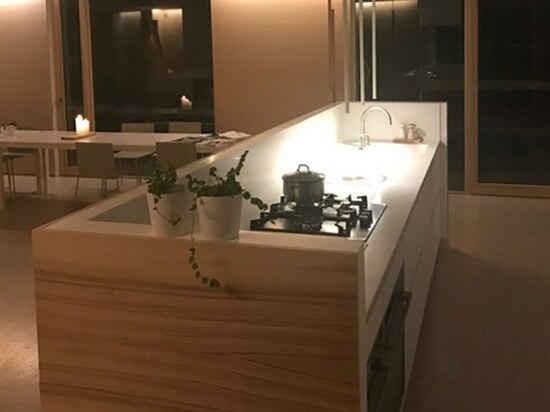 Architecture details: The main concept of the Himalayan Birch House is the interaction between light and shadow; it emphasizes the interpretation of architecture as arts. 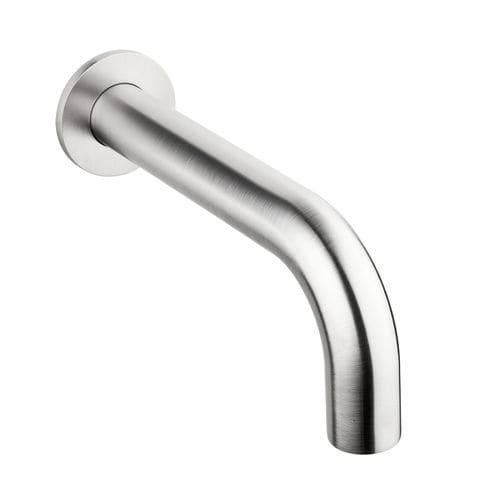 The Stiriana wall mounted mixer by Mina for the master bathroom. The Singing In The Rain shower head and Stiriana mixers for the shower. 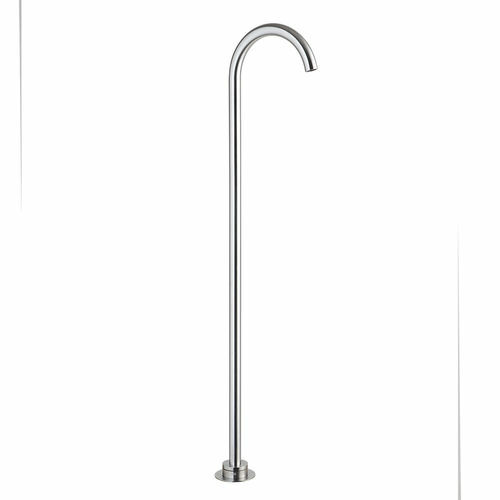 Three, the kitchen mixer by Mina with swivel spout, deck mounted mixer and external pull-out hand shower. 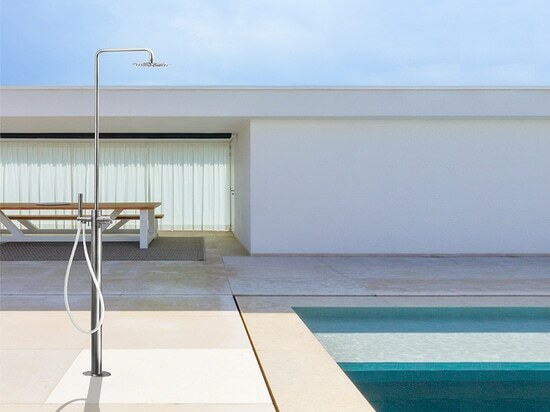 The Mina freestanding spout is also well suitable outdoor. An attractive design, easy and intuitive navigation, a fully responsive structure. 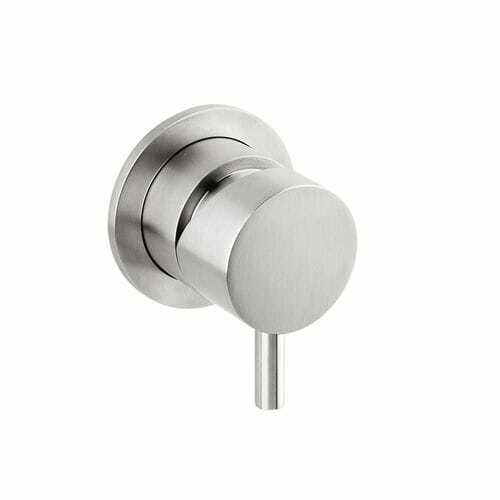 In the foreground we find grooves on the mixer and the Deep Grey Inox finish: the right combination between aesthetics and functionality. 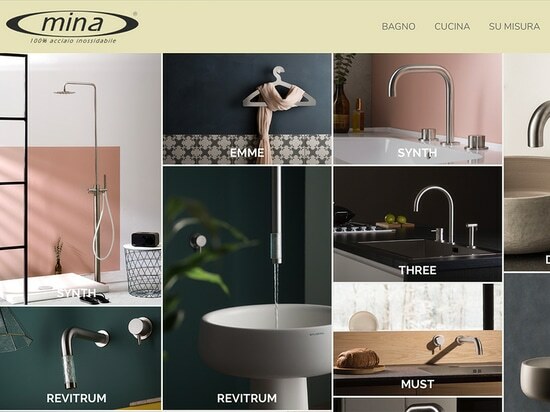 Synth Kitchen: the Mina series also plays a role in the kitchen. 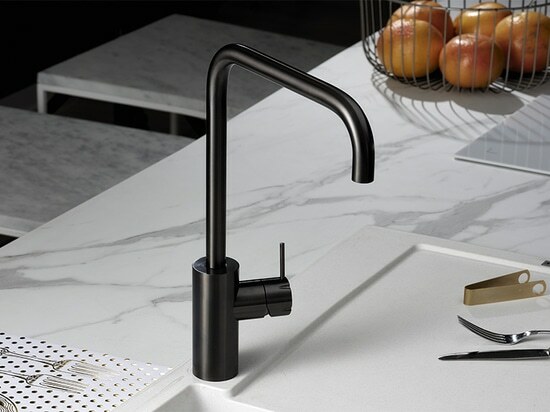 Synth Kitchen: the Mina series also plays a role in the kitchen.